This property is tucked away on the north end of Ladys Island and is perfectly positioned between the intracoastal waterway to the north, the St.. Helena Sound to the east, and the Morgan river to the South. The stunning and pristine forested drive past the gate of Lucy Point is a captivating. Driving along her waterfront and the interwoven forest reveals the perfect blend of gorgeous land and pristine waterways. There is more than 4700 feet of expansive marsh views and deep water property located here amidst a mature hardwood forest. 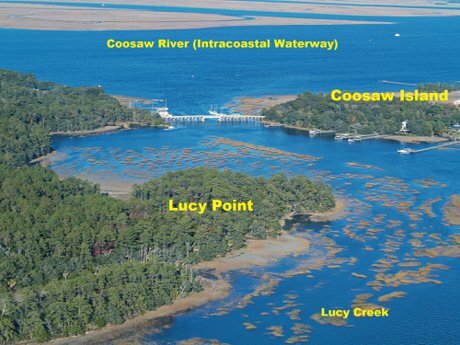 There is over 1300 feet of buildable waterfront with marsh and water views of Lucy Creek and over 1300 feet with direct deep water access tot Lucy Creek on the south end. With stunning views and dock access out to Lucy Creek, this property is perfectly balanced for living the Lowcountry lifestyle. The majestic live oaks that are deeply rooted within this property add to the picturesque waterfront views. You will find that boating areas to explore beyond Lucy Creek are endless. Beaufort is blessed with more waterfront in the form of creeks, rivers, islands, marshes and islands than anywhere else along the South Carolina coast. Boating excursions can include heading across the Coosaw River to the Ace Basin Wildlife Refuge, head south to the Dataw marina for lunch, or picnic on one of the many island beaches nearby that are only accessible by boat. All of this nature is at the doorstep of Lucy Point. Yet the property is less than 10 minutes from shopping and restaurants found on Lady's Island and just a few minutes more to the downtown Beaufort historic district. 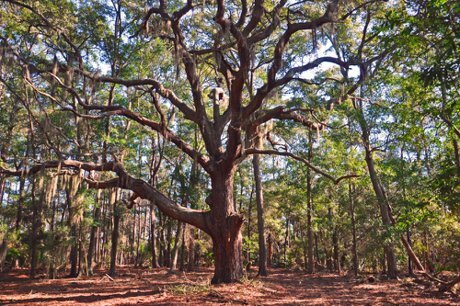 As one of the last remaining large, deep-water tracts of land in the heart of Beaufort….. this property is unique. 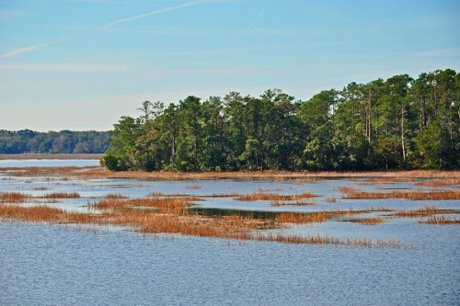 A small hard marsh cove separates the main section of the property from a beautiful 6-acre island on the southeast point. Well protected from the wind and open water is one of the best boat landings and small marinas in Beaufort County. And the best part is…This landing is adjacent to Lucy Point. This property is perfectly suited as a private estate property or can be developed several ways. I have several development concepts which include a 14 home site development along the river shore with much of the beautiful forest left alone an amenity buffer that many waterfront developments lack. Or a 5 acre plus subdivision that is low key and keeps the cost of development to a minimum. This property is the perfect blend of gorgeous land and beckoning waterways. Come let your imagination take hold with all the possibilities this property offers. Just give me a call to discuss the many possibilities of the unique and well-priced property. ClicK Here for the property listing detail page.